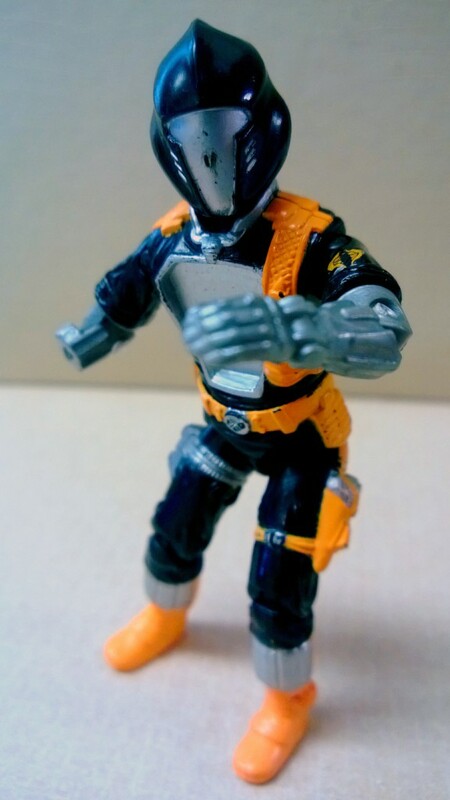 Cobra’s infamous B.A.T. (Battle Android Trooper) has seen better days. This was one of the most unique G.I. Joe figures of its time when it was first released in 1986. The Battle Android Trooper, commonly referred to as a B.A.T., featured a hologram sticker on its chest. Its right hand was also interchangable, including a hand, a claw, a flamethrower and a gun. 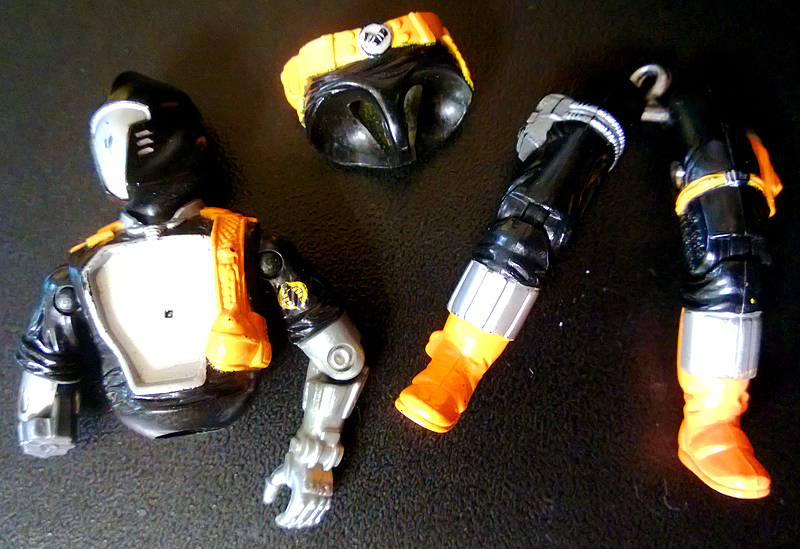 Sadly the plug on this particular B.A.T.’s right arm broke a long time ago. The pieces then eventually vanished. I’m afraid none of this figure’s accessories remained in my possession. This B.A.T. is walking again.